In recent years I’ve included several pages on Groves Chapel, as it was put up for sale in late 2013, and as The Press revealed proposals for its conversion to a Sainsbury’s store, and residential accommodation. 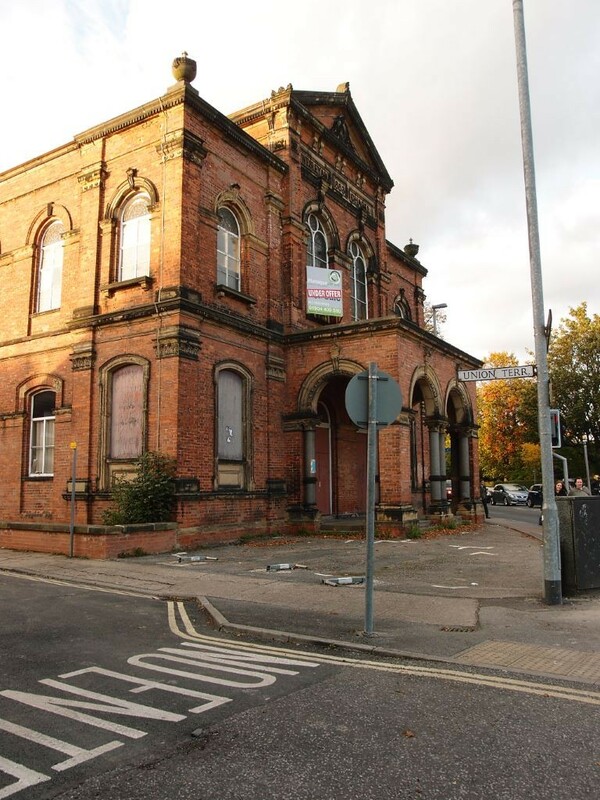 Time to revisit this building, mainly to tell readers about a drop-in event to be held tomorrow by the developers Harrison, where the plans for the chapel will be on display. Worth a visit if you live locally and are able to get there that afternoon/evening. The original plans were controversial, and provoked a petition. Many objections seemed to be from people who didn’t necessarily live nearby and wouldn’t be personally affected, but were concerned at the possible loss of the historic fabric of the building. Other objectors objected mainly to the spread of the mini-supermarket. Regarding the more important issue of the loss of the building’s architectural features, it was good to read that the original plans have been scaled back to preserve the balcony area. S Harrison has worked closely with city of York’s conservation officer and members of the council’s planning team to identify a suitable design to safeguard the balcony area and ceiling of the main chapel. Originally the company had proposed converting the area above the new convenience store into apartments but now, at the request of the council, the space will be left void and intact, reducing the number of new homes from 26 to 16. — which is quite a scaling back, isn’t it. 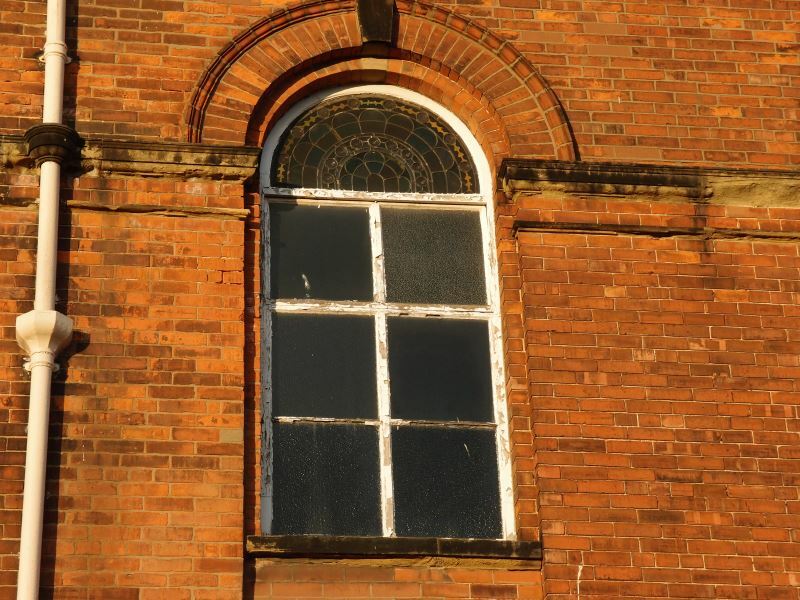 It’s also important to note, as mentioned in the same story on the S Harrison website, that the building has become so dilapidated that it is to be placed on the ‘buildings at risk’ register at Historic England and the City of York Council. The proposed redevelopment will of course save it from further dilapidation. I live not far away, and called by yesterday afternoon to take the following photos of the chapel and the area around it. The accompanying notes will I hope help put it in place/context for anyone who isn’t so familiar with it. It has its own car park, round the back. Helpful for the proposed residential accommodation within the building. 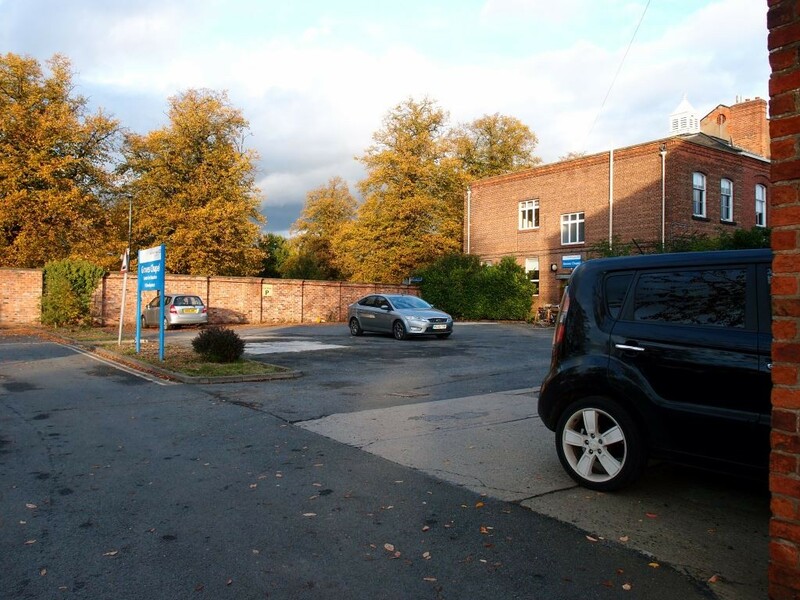 The car park is alongside an access road along the edge of the Bootham Park hospital site behind it. 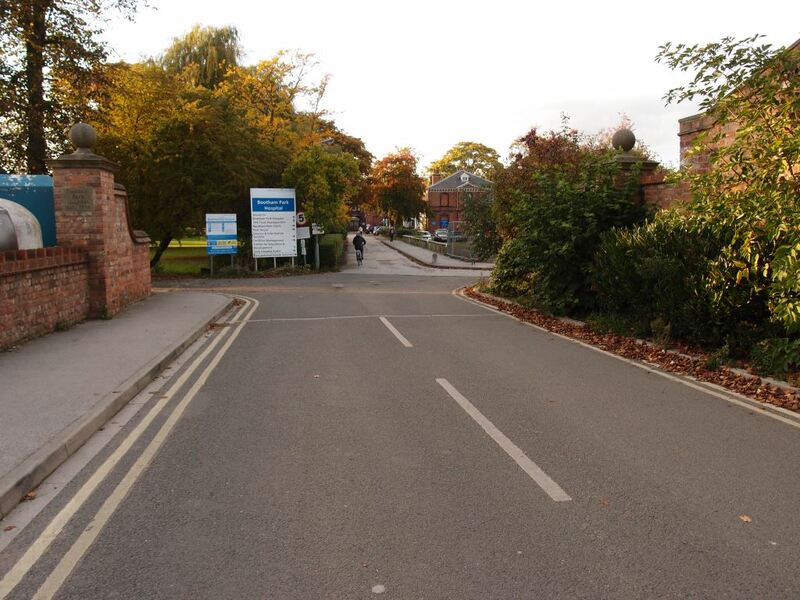 Entrance to the Bootham Park hospital site from Clarence Street and Union Terrace. The access road to the back of Groves Chapel and its car park is the road on the right. 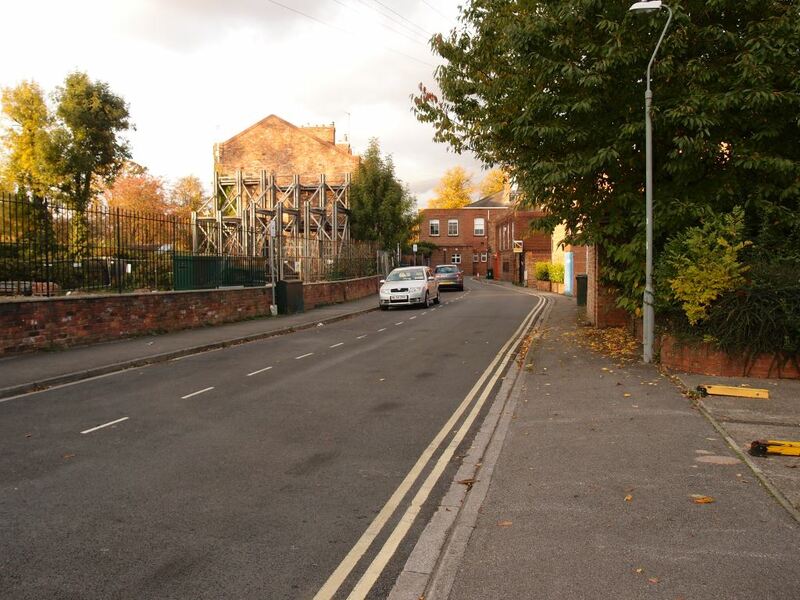 And running parallel to the access road to the chapel’s car park, the street of Union Terrace, or what remains of it, with Groves Chapel at the far end on this photo. And as we proceed along Union Terrace, it bends back towards the junction with Clarence Street, and Groves Chapel is shown on the left. Across the junction is the Punch Bowl pub, also previously discussed on these pages. 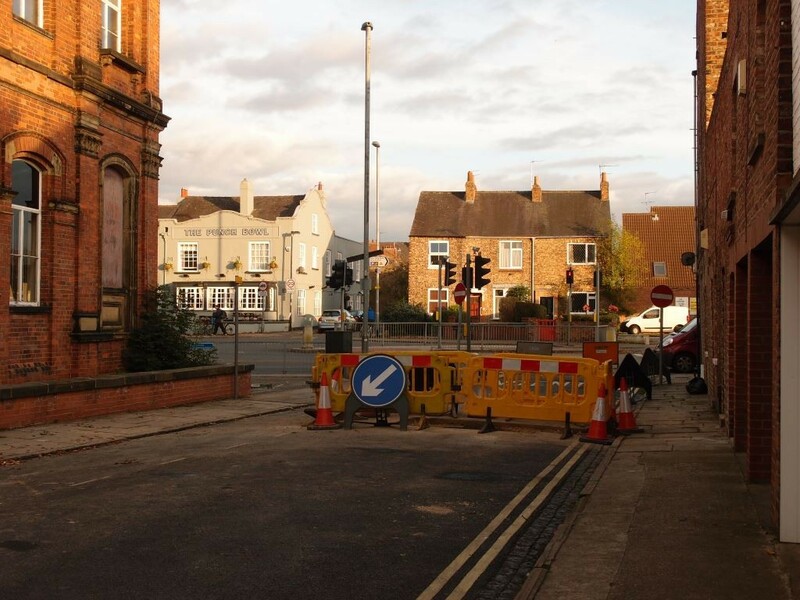 Haxby Road, Wigginton Road and Lowther Street also meet at this busy junction. From the side, on Union Terrace, one of the chapel windows. These have some of the original glass remaining in the semi-circular part at the top. In the lower part I think we can see that the original glass has been replaced. Still looking good though, particularly when lit by late afternoon sun at this time of the year. 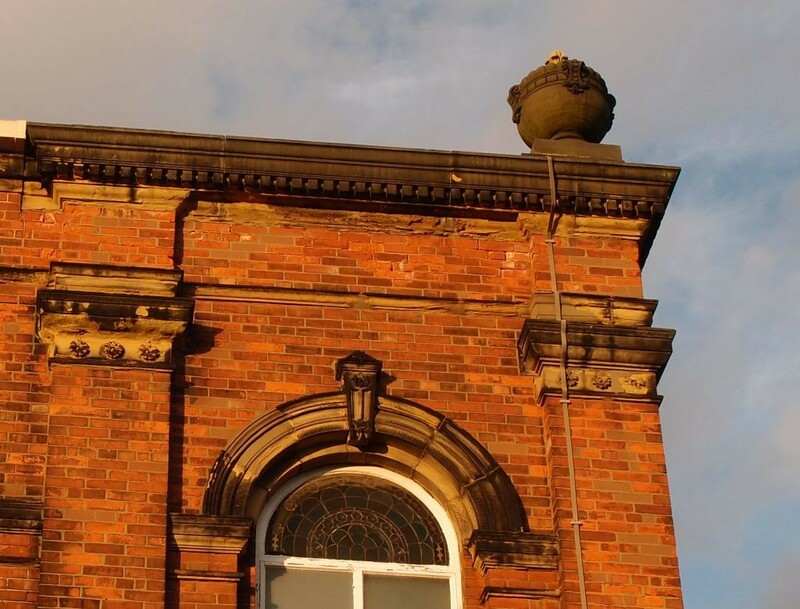 It’s now 11 years since I first admired and took a photo of these architectural details in the autumn sunlight. Eleven years seems a long time to me but is a fraction of the life of this building, dating from the 1880s. It found a new purpose when no longer used for worship, and in that process it lost much of what made it a chapel. That it’s still here at all is something to be thankful for, and that its remaining space — at least above the supermarket — will be preserved, well, that’s enough for me, personally. If you enjoy this website, find it useful, and would like to see it updated more regularly, please consider a supporting subscription.